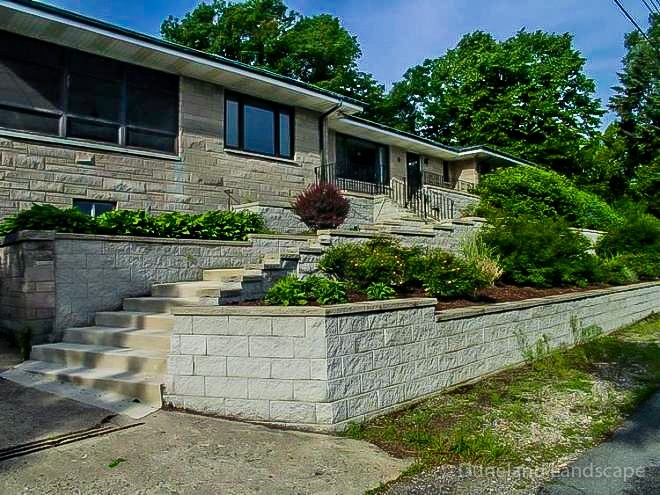 Duneland Landscape is known throughout Northwestern Indiana and Southern Michigan for our contemporary and eye-catching landscaping and hardscaping designs. 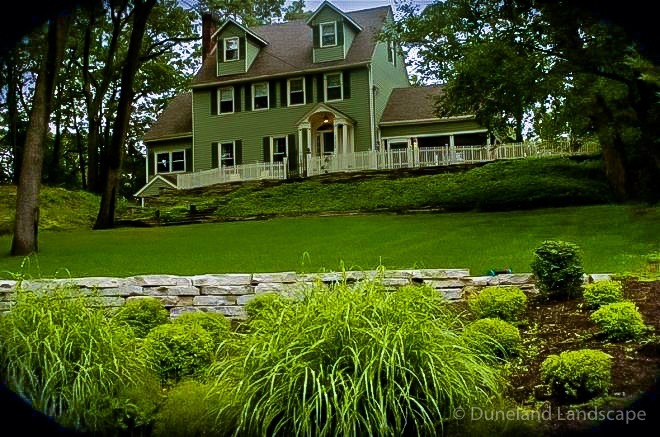 For this Valparaiso, Indiana home, Duneland Landscape created a custom landscape design incorporating a variety of elements to improve the home’s overall look and curb appeal. 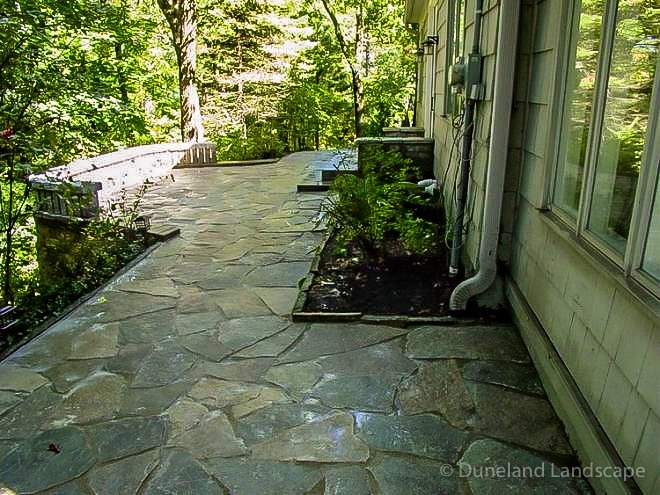 Duneland Landscape started by renovating this Valparaiso home’s sidewalk and front entryway. 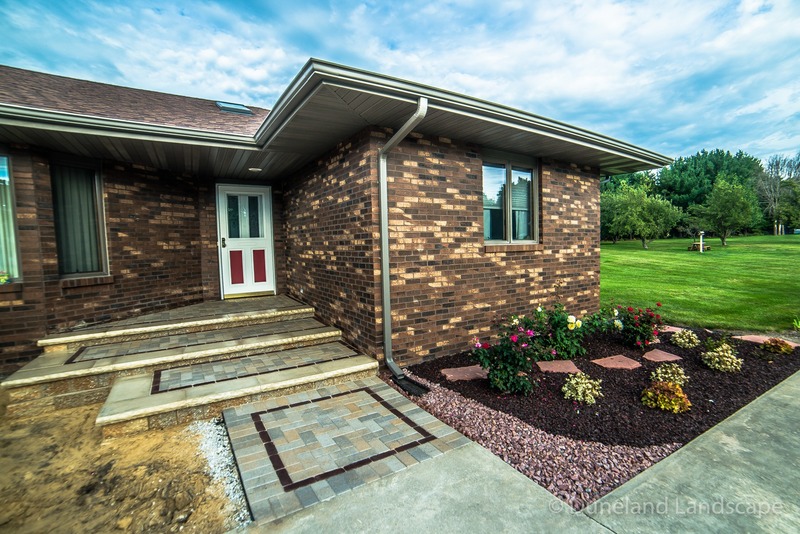 We used multi-colored brick pavers that tie into the beautiful brown and tan hues of the home’s brick siding. 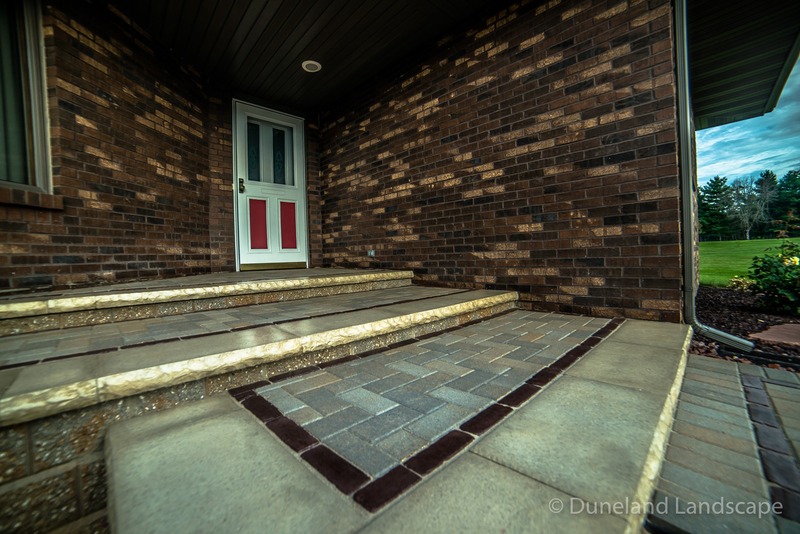 We also added an artistic design to this entryway by situating the brick pavers in a precise pattern to highlight a brown square pattern on each step. 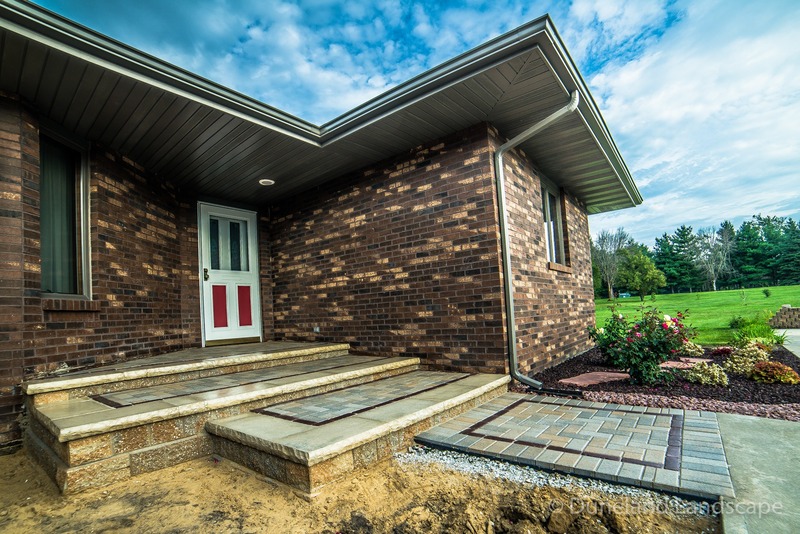 The new paver walkway leads from the concrete driveway all the way up to the steps of the front door in order to complete the aesthetic of the space. 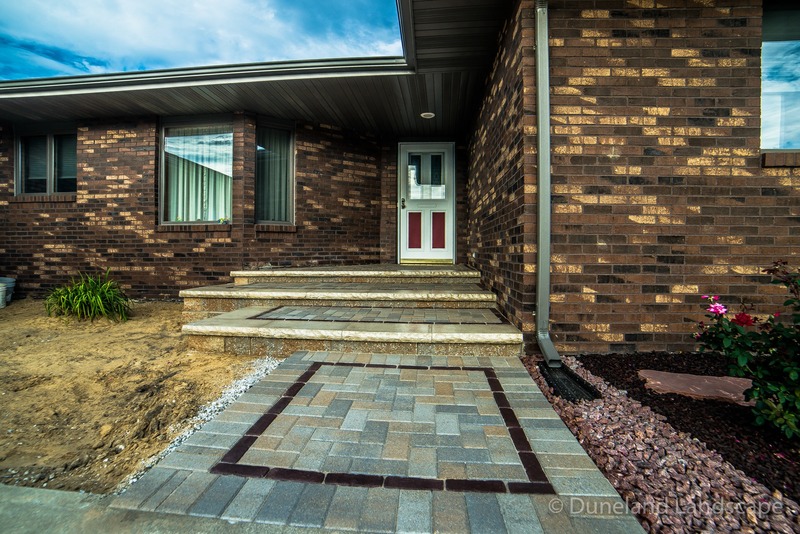 In addition to this custom front entryway hardscaping, Duneland Landscape also installed a rock garden bed with beautiful red flagstone pavers that create an additional pathway. 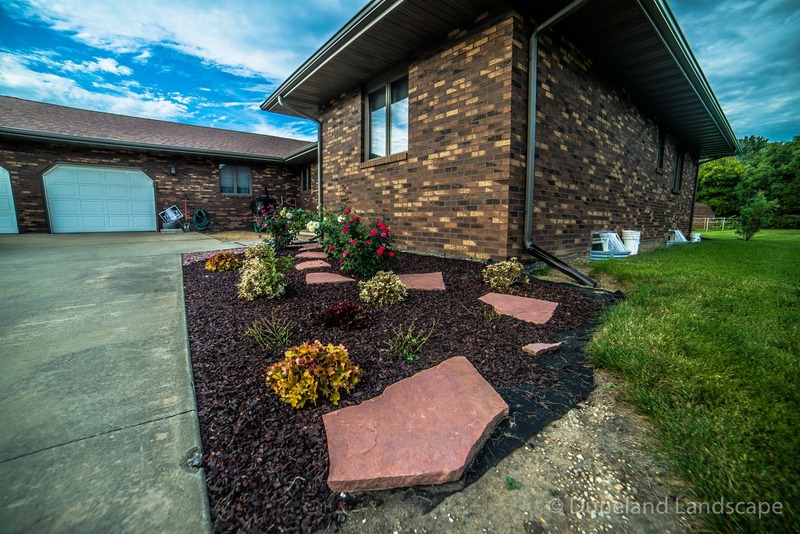 We used two different colored stones to create a featured piece corresponding between the entryway and the plantings. 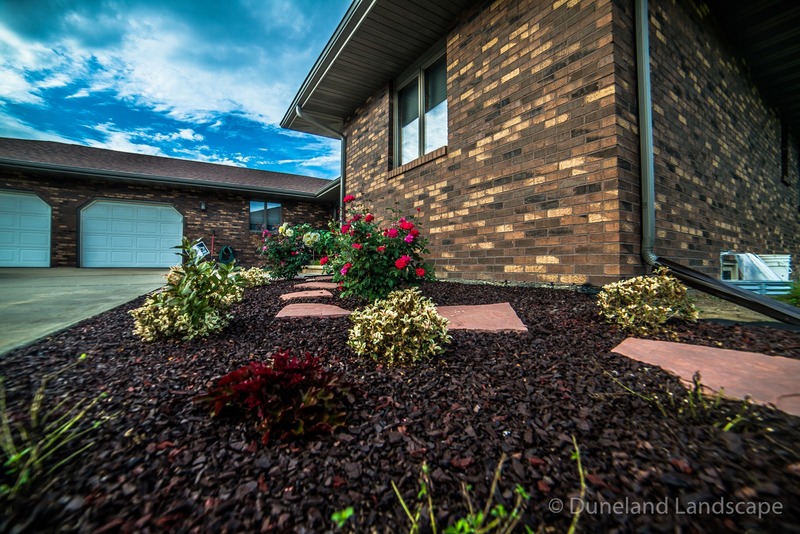 Along with this, Duneland Landscape planted low growing flower bushes and shrubs that provide depth and color to this brick focused space. We created a flower garden display based on the client’s choice flowers and shrubbery along with an awareness of the backdrop from the home to highlight each planting. 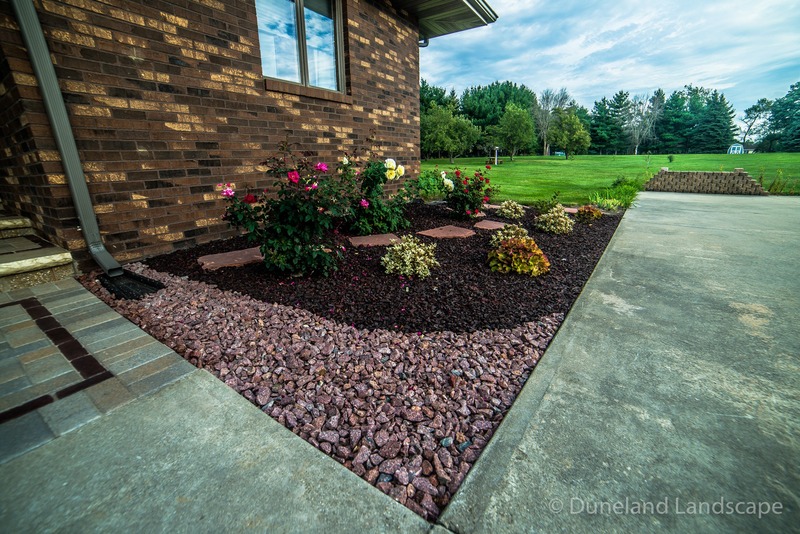 Improve the look and feel of your home’s entryway with the help of the curb appeal experts at Duneland Landscape. Contact us today to get started!